Sinsheim – 111 Bundesliga goals make Kevin Kuranyi one of the top-scorers currently plying their trade in the German top-flight, yet you would have to go back more than five years to find his last. Since netting for FC Schalke 04 in a 2-1 defeat to FC Bayern München on 3 April 2010, Kuranyi has failed to find the back of the net in the Bundesliga. 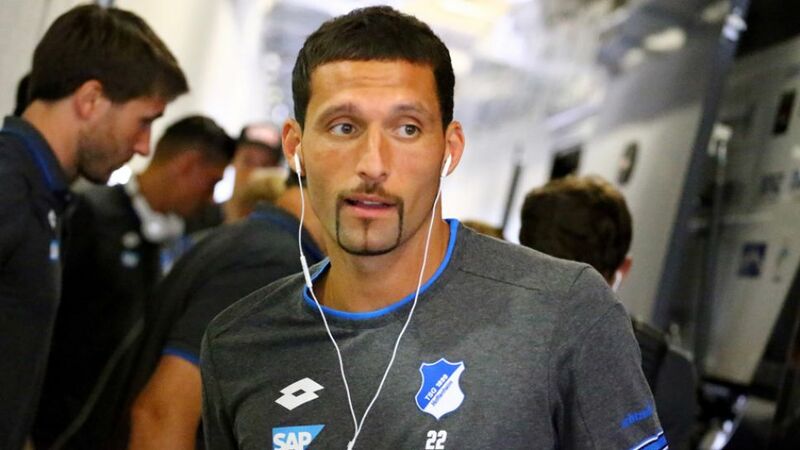 What would sound like a colossal drought for a striker does have an explanation – he has not been playing in the Bundesliga for five years – yet three games into his comeback, that drought is nevertheless going on longer than he would have hoped. Indeed, it is now eight Bundesliga games in a row that the former German international has been waiting for a goal, but he is intent on using the latest international break to ensure he makes up for lost time once the action gets underway again. "The moment when you walk out into a sell-out stadium is definitely something special," Kuranyi said. "You don't get that in Russia. It's also a nice feeling when you play well with a young team against sides like Bayern or Leverkusen. For me and my family, exactly the right thing has happened [by coming back to Germany]."